Race, Ethnicities, and Inequalities Colloquium. 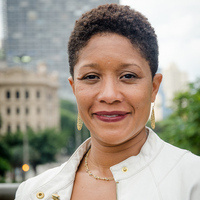 Christen Smith, Associate Professor of African and African Diaspora Studies and Anthropology, University of Texas at Austin. Christen Smith researches engendered anti-Black state violence and Black community responses to it in Brazil and the Americas. Her work primarily focuses on transnational anti-Black police violence, Black liberation struggles, the paradox of Black citizenship in the Americas, and the dialectic between the enjoyment of Black culture and the killing of Black people. Her book, Afro-Paradise: Blackness, Violence and Performance in Brazil uses the lens of performance to examine the immediate and long-term impact of police violence on the Black population of Salvador, Bahia, Brazil and the grassroots movement to denounce and end this violence. Her more recent, comparative work examines the lingering, deadly impact of police violence on black women in Brazil and the U.S.